There’s nothing quite like our long summer days in the South African sun (or the rays that still seep through the winter chill), but fun in the sun can’t go without protecting your skin. 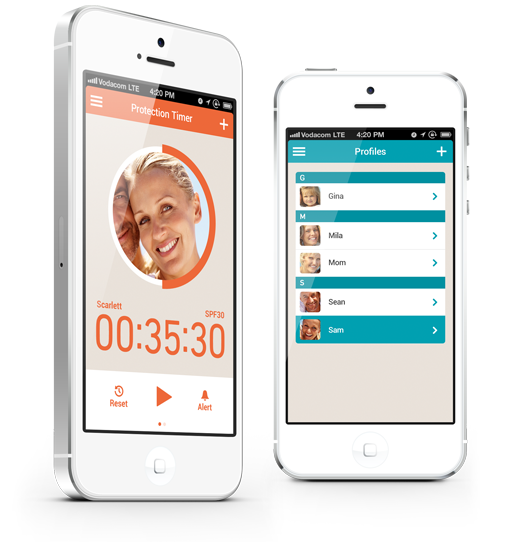 Download the Be Skin Smart App and use it as your weapon against the harsh effects of UVA and UVB sun rays. The app uses the Fitzpatrick Skin classification module first developed in 1975 by Thomas Fitzpatrick, using a series of quick, easy questions to assess your genetic disposition and reaction to sun exposure.1 Once you’ve determined your skin type, the app has some useful features that will help you and your family stay protected from the sun. As South Africans we love our beaches, swimming pools and afternoons having a braai. With our long coastline and excellent climate, there's just so much opportunity to get that 'healthy tanned glow'. But as much as we may not want to hear these facts, it’s vital for our long-term well being that we understand how dangerous our sun can be. South Africa generally has a high UV index, except in our winter months (June, July, August).7 This means we’re more likely to get a higher dose of UV during our time at the beach, while playing sport, gardening or just out and about.1 Your risk for developing skin cancer doubles if you have more than 5 sunburns.1,8 This is a scary, but true fact!